Last night I started the Dominance Offense reputation quests. There was a few things that I am really excited about this new faction. Already can buy upgrades from DO Quartermaster. I am seriously considering replacing my alchemist stone with the trinket. Mounted battle. Last night I ran the quest where you mount up (no kite) on my Charger and flew around blowing gyrocopters out of the air. 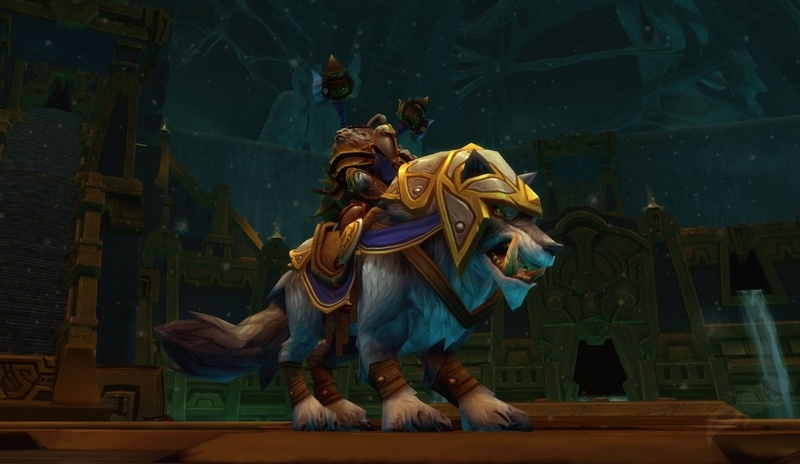 As with questing being practice for dungeons, and dungeons being practice for raiding, I can see a new raid boss where you bring your own mount to the fight. BOA rep. Yeah, unlike the daunting task of trying to get my disc priest rep for shoulder enchants in Cata (Hated to Exalted), now I can simply buy it. She'll gain rep at 2x the speed he does simply because of a BOA purchase. I just started the quests, so I haven't yet seen all the Queen references..
Btw, not sure if you knew this but there are three elites that spawn over in the Ally PvP questing area in NE Krasarang Wilds. I don't know their names offhand. The female rogue spawns on the Dock. If she's not up then look on the dock for a small black cat named Mr. Bonks. She spawns on top of him. The other is a female dwarf priest that appears near the circled area of tents in between the dock entrance and the castle walls. The warrior elite spawns in front of the castle entrance as you make your way to the beach by the Dwarvin engineers. All three of them have a chance to drop an invite to the Brawler's Guild. Each one always drop something nice, from rep increases to PvP trinkets. I've been farming them and have only seen the BG invite appear 1x and sadly I didn't win. If you decide to take one on, I'd recommend clearing some of the trash out. Otherwise it's pile on the warlock!